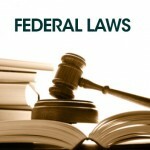 Federal, state and local laws provide rules of law and order. Each form of government shares in its legal system only to its judicial and jurisdictional boundaries. Federal Laws are the broadest and can include all the states and territories of the United States as well as activities between states. State Laws apply only to the individual state, and Local Laws apply to the area of their jurisdiction. Each state must respect the laws enacted by other states. This is the “full and credit” clause found in Article IV of the U.S. Constitution. The U.S. Constitution gives the power to regulate and control the states as a group. The powers not given to the federal government by the Constitution nor prohibited by the Constitution remain with the states under the 10th Amendment which is part of the Bill of Rights. The states can enact laws covering their jurisdictional boundaries only and subjects not reserved to the federal government. For instance, states cannot make coinage as it violates Article I, Section 10 of the Constitution. States can regulate matters like divorce and adoption, employment and motor vehicle laws and agriculture occurring within its boundaries. Local laws may be county or city laws and may not include laws preempted by the states. Some states make laws that specify the local governments cannot make any law more stringent than the state law. Tobacco Laws are an example of this. A city police officer only has jurisdiction over actions in the city. When you are outside the city limits, he cannot give you a ticket. However, the sheriff or constable can ticket you in the county. When you drive out of the county, the state police, a sheriff or a constable from the county you are now in become the law enforcement body with jurisdiction. The state police can ticket anywhere within the state; the sheriff or constable can ticket anywhere within the county of their jurisdiction but the city police can only give tickets within the city limits. To put it short, federal laws are laws that are enacted by the federal government and enforced by the U.S. Government Agencies. State laws on the other hand are laws legislated by the state. They cannot and should not contradict with the federal laws and apply only to a specific state. Lastly, local laws are created by the smaller political entities such as counties, township cities and towns which has the least coverage as compared to the federal and state laws.